Runners make their way down the Benjamin Franklin Parkway in Philadelphia at the start of the Philadelphia Marathon, Sunday Nov. 20, 2016. At least 14 runners, including a married couple, cheated during the 2016 Philadelphia Marathon to earn qualifying times to the prestigious Boston Marathon, claims an Ohio blogger who analyzes marathon finishing times. Derek Murphy, who calls out suspected cheaters on his Marathon Investigation blog, discussed his alleged finding in a Today Show report. He told NBC News correspondent Stephanie Gosk how he easily discovered 12 runners who had qualified by taking a shortcut. Those cheaters are easy to discover because they often miss timing mats or their splits show glaring irregularities, Murphy said. An entrant might run part of a race, pass a few timing mats and relax before skipping ahead to the finish. Naturally, race officials also discovered many of the cheaters on their own, Murphy noted on his blog. Bib swappers are more difficult to detect. But with the help of a tipster, Murphy discovered a couple who cheated in races by having the husband carry the woman's timing chip. 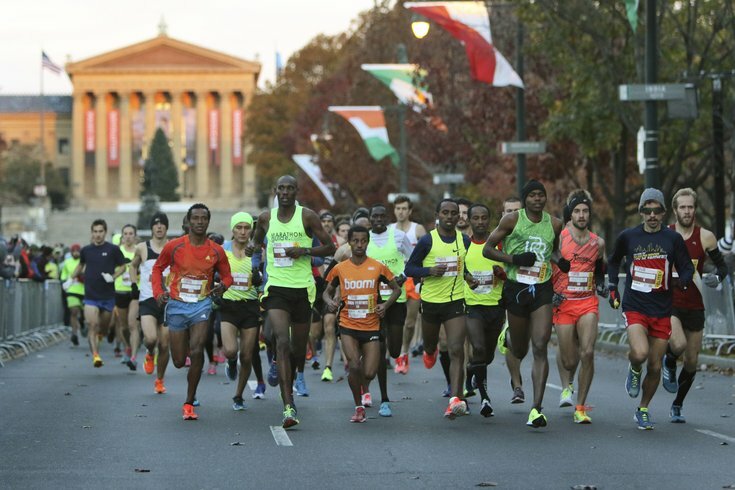 During the Philadelphia Marathon, the man again removed his wife's chip from her bib and fastened it to his own. She ran the race, without a chip, but thanks to her husband, she gained a qualifying time for Boston that she otherwise would not have received. "Often, I would run untimed, but my husband would also occasionally run with my chip because he saw what it did to my self-esteem and motivation to get back to my old running self to truly earn the time/place. I wanted to be worthy of the results he ran for me. "It was always just the two of us. We were so embarrassed although we convinced ourselves that it was a victimless crime and not really cheating since we both paid registration fees for every race, I always started/finished every single race and never financially gained from our manipulation." The couple later spoke with NBC, again on condition of anonymity. They admitted the husband once accidentally won his wife a trophy, which has since been returned. Murphy told NBC that he has caught some 20 to 250 runners in more than 50 races. A former marathoner, he began analyzing race times about 18 months ago.